Jasmine Elliott didn't learn this in marketing class or in a Dale Carnegie book. She learned it when she started her first business. She learned it when she was 9. With a passion for design (and a little help from her mom) she entered the fashion industry with just a few hand-painted jeans and one really lofty goal — to become a millionaire by age 18. Since then, her signature bows and bow-ties have been featured in Prom USA Magazine and worn by those who love her look and appreciate her brand. 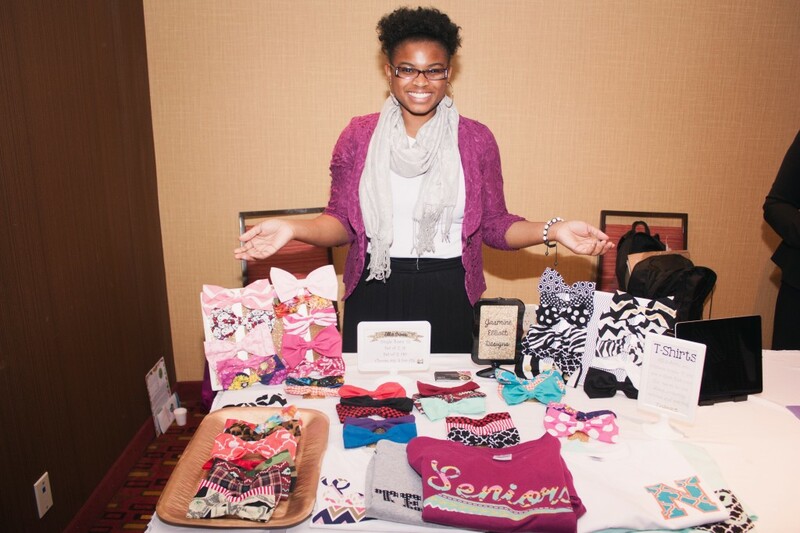 Jasmine, high school senior, selling her personal line of bows and bow ties. This is far from an adorable anecdote of a kid with a lemonade stand. 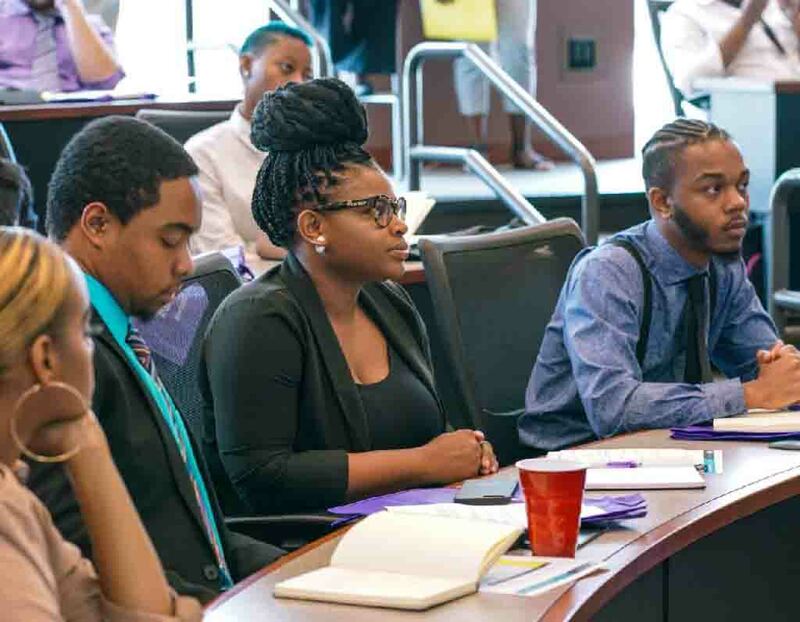 Jasmine's drive is rooted in the entrepreneurial spirit instilled in her by her family and fueled by organizations like Usher's New Look who empower youth to find their spark. 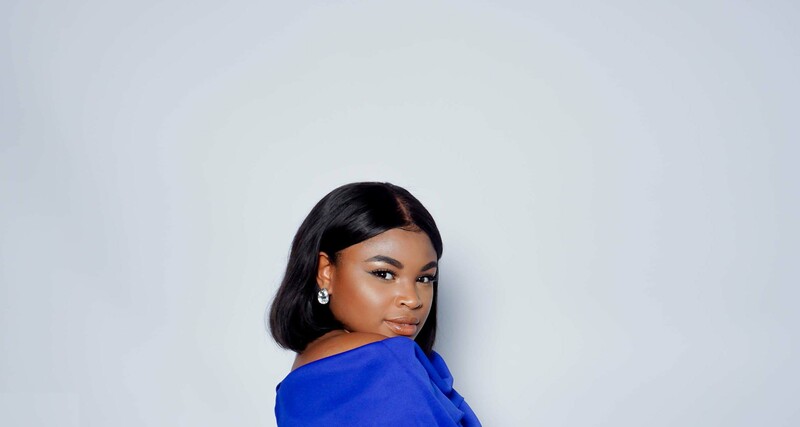 At 21, Jasmine can now add a few more things to her resume, including winner of the 2017 Women's Entrepreneurship Initiative (WEI) pitch competition for her mobile app "Your Prom Stylist" and Marketing Intern at Atlanta-based software startup, Freeing Returns. And in 2020, she'll add Georgia State University graduate to the list. We had the chance to sit down with Jasmine. Here's her story. An entrepreneur. I want multiple streams of income. I want to figure out different ways to have generational wealth. That’s really my life goal. And I’ve learned that you don’t have to do one thing forever, so I’m looking forward to getting into whatever interests me most. 2. How would you describe working for a startup? Working for a startup is … ever-changing. It’s about adjusting. Everybody might have a title, but there’s always a position to be filled. I did a lot more than what my title suggested. But it was fun, and I loved that. 3. What does entrepreneurship mean to you? Entrepreneurship is all about taking risks to solve a problem. And it’s finding problems for people they didn’t even know they had. 4. What advice can you give other students seeking internships at startups? Be yourself. Be confident in what you’ve done. Be proud in the right moments. Don’t be afraid to talk about yourself and your accomplishments. And be open. 5. What is the best advice you’ve been given? You’re not worthy of your gift if you don’t use it to serve people. 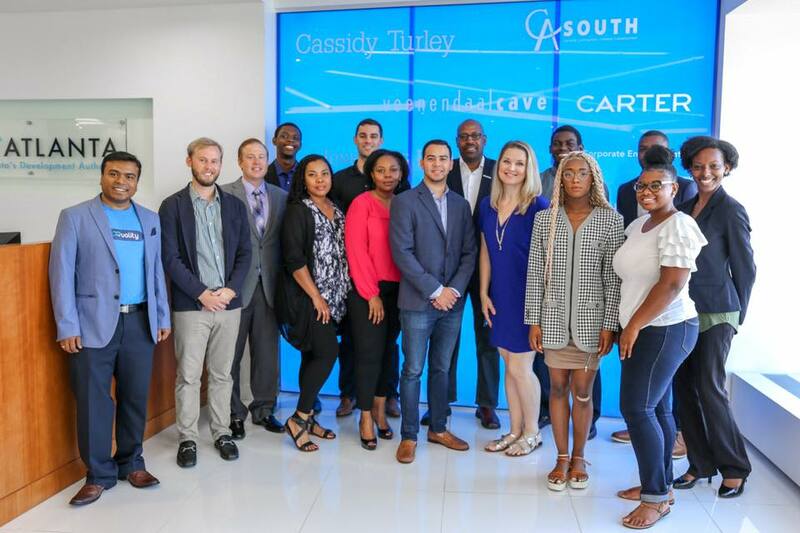 Jasmine (far right) during her 2018 summer internship with Freeing Returns. Entrepreneurs have to be OK with making mistakes. So talk about failure. I started my business when I was 9. At 13, I quit. But she would wake me up early. She would tell me I have to work on my business. She would help me balance my budget. She did all of that, so I learned that I can’t quit … [or let] what I think is a failure interfere with whatever the end goal is, because there’s always a new way to solve a problem. I didn’t even know what the word budget meant at 9! How did you learn the value of money? I’m still learning now. I can say that I do think about the future. I’m a pretty forward-thinker. How can you not be when you want to be a millionaire at 9? I can’t even think of myself imagining what having all of that money meant. I just knew: That’s a lot of money — I want it! If you met your 9-year-old self today, what advice would you give? As an entrepreneur you have to give certain things up, to do other things better. How has this impacted you? I’m learning that now. Because I’m interested in so many things, I’ve sat down with myself and said: I can’t be the jack of all trades and master of none. 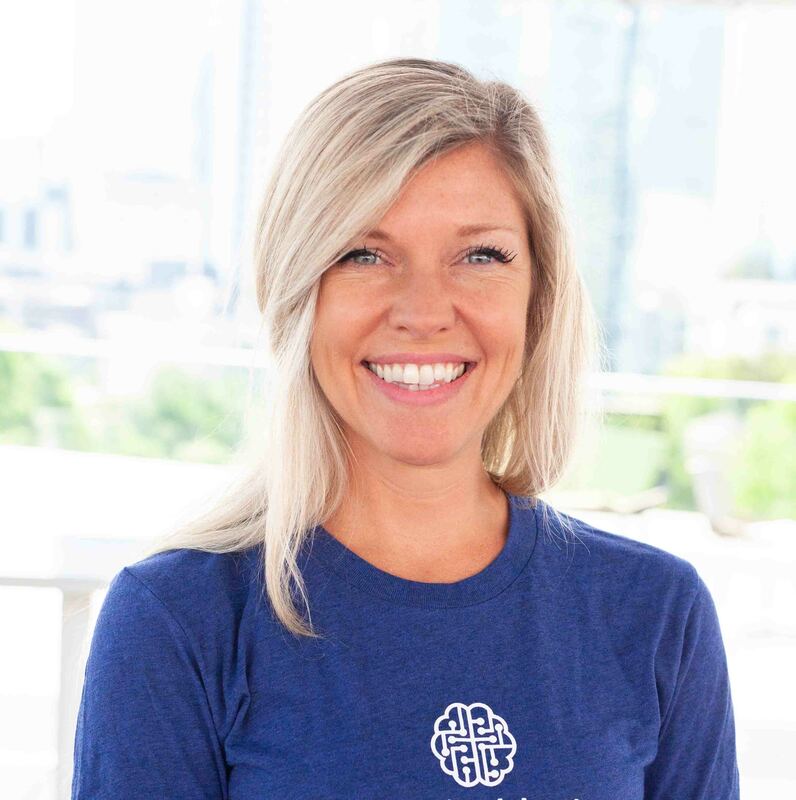 You pitched an idea for a mobile app to WEI Atlanta — and won. What’s the scariest thing about presenting your own entrepreneurial ideas to potential investors? I wasn’t scared. But it was a nerve-wracking experience in the sense that I didn’t prepare for my pitch in the way the other competitors did. I learned that you just have to know your product, and if you do, you don’t need a script. 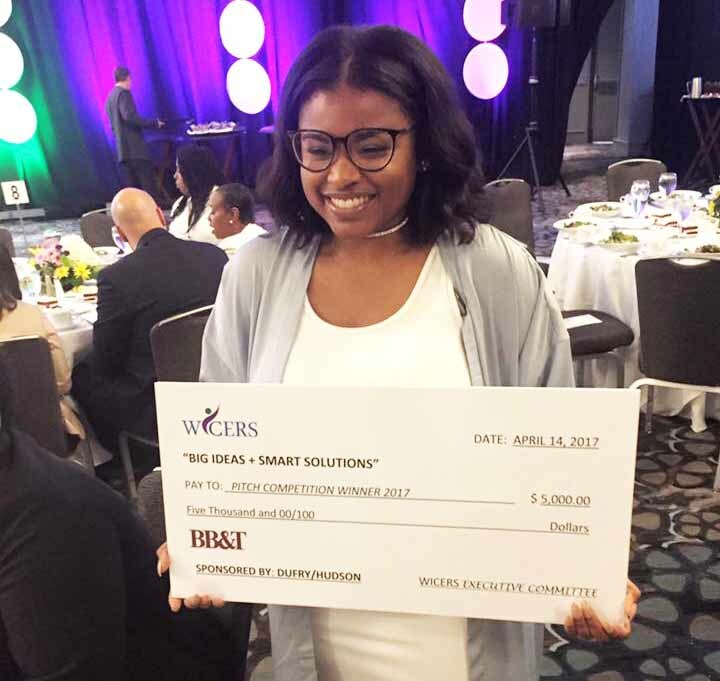 Jasmine after winning WEI Atlanta's pitch competition, April 14, 2017. What experiences helped prepare you to speak in public? My grandmother. She was a teacher. She was a principal. She did so many different things. And me and the eight of my cousins took public speaking classes with her. We would go to her house Saturday mornings and speak in front of each other. We would have to learn poems and learn speeches … then we’d practice and do it again! If you can refine those skills, you’ll be way ahead in almost every social setting. Absolutely. Even networking can be nerve-wracking. Especially when you network with a purpose, and there’s someone in particular you want to talk to. Mustering up the courage to say, “Hi my name is Jasmine,” and tell them the same story I tell everybody never gets to a point where I’m completely comfortable. Usher’s New Look has played a huge role in your personal and professional development. What stands out the most? From the moment I started New Look, James [Harris] pushed me in the direction of what I wanted to do. Everybody knew I sold bows, so if there was an event I could be a vendor, he said, “You need to be at this event.” He was always giving me the opportunity to put myself out there. I can say those events, those experiences, helped me figure out what I wanted to do. I’ve learned with New Look that I don’t have to do one thing forever. I don’t have to just be a designer, or a stylist, or whatever it is I want to do. New Look has definitely pushed me forward ... helped lead me in the right direction of what I want. Jasmine with Usher's New Look during a Moguls In Training (MIT) event. Your best experiences seem to be defined by the people who help create them. I’m definitely a people person. One of the reasons I love fashion and styling is because you can change someone’s outlook on themselves based on what you put them in. I think people discredit how big of an influence clothes can have on confidence. And that’s really what I love the most about styling. You have a relationship with your stylist. They want you to feel good. When have you gone against the flow to achieve a goal? There was a time I didn’t think I could do something, and I really could. That was with the pitch competition. I didn’t want to do it. They sent me forty billion emails saying, “You need to do this.” And I ignored all of them. At the time I was out of school, that was the semester I took off. I was in a really interesting place in my life, because that was the moment I was trying to figure out what school I wanted to go to. That’s when I decided to go to Georgia State. I just wasn’t feeling sure of myself. I remember when they said my name that I had won — I won? It showed me it doesn’t matter what I think I can’t do, if I push myself and allow other people to push me, there’s no telling what I can accomplish. I want to do things that push me toward a career. And don’t do things that divert the path. I’m excited for whatever’s coming. At one point I wasn’t. I was scared … but wherever my path is going, I’m just following it.